This marks a time dedicated to celebrating the voices, faces, contributions, and lives of anyone identifying as LGBTQ+. This month is the time to shine light on LGBTQ+ portrayal and representation, both in real life and in media. In honor of this month’s celebrations, we at The Young Folks put together a list of our top LGBTQ+ reads for your enjoyment! This list would not be a complete if we didn’t include Simon vs. The Homo Sapiens Agenda. Originally published in 2015, Abertalli’s debut novel became a major motion picture earlier this year entitled Love, Simon, a film starring Nick Robinson as the story’s protagonist. Simon’s narration is relatable, as well as embedded with a humorous tone that captivates his audience almost immediately. An acclaimed coming-of-age novel and a heartwarming tale of a gay teenager’s path toward coming to terms with outing himself and taking ownership of his sexuality, Simon has been praised and recognized as a must-read for any youth, LGBT+ and other. It’s such an important piece of contemporary YA literature with a crucial message, and definitely worth the read. Official Synopsis: “Call Me by Your Name is the story of a sudden and powerful romance that blossoms between an adolescent boy and a summer guest at his parents’ cliff-side mansion on the Italian Riviera. Unprepared for the consequences of their attraction, at first each feigns indifference. But during the restless summer weeks that follow, unrelenting buried currents of obsession and fear, fascination and desire, intensify their passion as they test the charged ground between them. What grows from the depths of their spirits is a romance of scarcely six weeks’ duration and an experience that marks them for a lifetime. For what the two discover on the Riviera and during a sultry evening in Rome is the one thing both already fear they may never truly find again: total intimacy. Armed with gorgeous prose and a memorable plot, Call Me by Your Name is a passionate and tragic take on the ‘summer love’ trope. Elio Perlman, a 17-year-old Jewish American-Italian, and his blossoming relationship with Oliver, a 24-year-old graduate student, completely take over the text; their story grips their audience and captivates them until the last sentence. Subsequently, it is a heart-warming and heart-breaking novel. Though the core of their story lasts for the six weeks they had at the Perlman summer home, Elio and Oliver’s tale is passionate, emotional, and will leave you breathless. Official Synopsis: “This groundbreaking book, first published in 1982, is the story of two teenage girls whose friendship blossoms into love and who, despite pressures from family and school that threaten their relationship, promise to be true to each other and their feelings. If you’re looking for an F/F novel, this should be one of the first ones on your list; it’s definitely the first in ours! The relationship between main characters Liza and Annie is such an organic and realistic depiction of friends falling in love, while at the same time interwoven with the difficulties and fears of being in a lesbian relationship. Initially starting off sweet and blissful, this story does portray the hurtful side of bigotry and ignorance in society when it comes to homosexual relationship – another, albeit this time unfortunate, indication of realism within Garden’s novel. Annie on My Mind is a definite go-to within this list, drawing in LGBTQ+ youth with the purposeful message that they are not alone in their questions and fears. Official Synopsis: A wunderkind young set designer, Emi has already started to find her way in the competitive Hollywood film world. While this is an LGBTQ+ novel, Everything Leads to You is not solely focused on the lesbian relationship that is formed. The novel starts off as a slight mystery, as Emi and her best friend work to uncover who the proper owner of a deceased Hollywood star’s inheritance letter, which leads her to Ava, the granddaughter of the star. This is not a LGBTQ+ romance where Emi comes to terms with her sexual identity, but rather one where she owns it and is confidant in it. Her feelings and relationship with Ava simply are. Additionally, LaCour provides a more in-depth examination into Emi’s enthusiasm toward film and set-designing, and giving her character more structure. Everything Leads to You is a well-rounded piece of LGBTQ+ literature, and definitely worthwhile for learning about the film industry and the lovely romance. Told in six sections, Aristotle and Dante follows the complex, touching, and enthralling story of the novel’s titular characters, Aristotle “Ari” Mendoza and Dante Quintana. There is no true set “plot” to the book’s events; rather, the sections are compiled in a series of moments within Ari’s life as he becomes accustomed to Dante’s presence and influence. 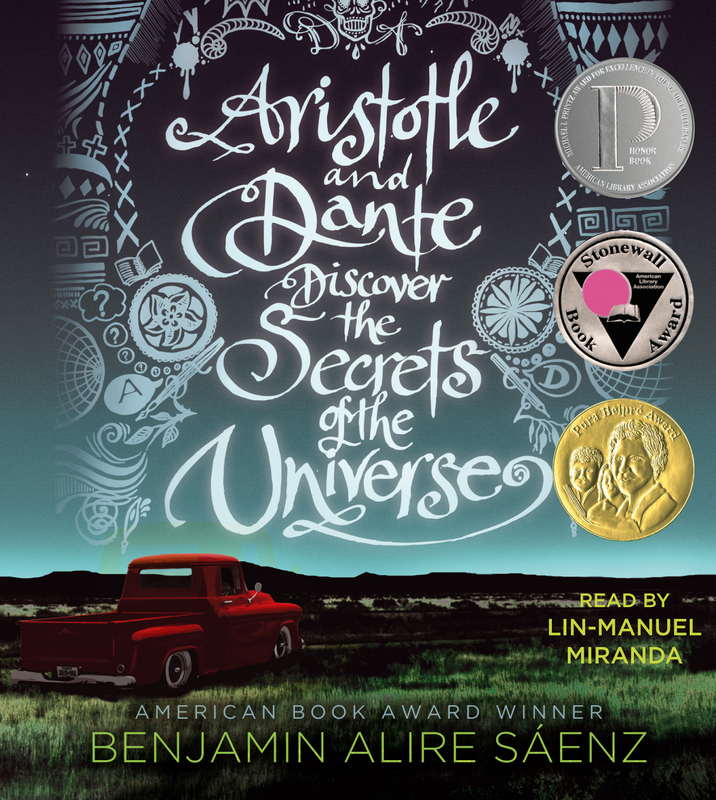 Aristotle and Dante also explores cultural themes coupled with Ari grappling with his sexuality; both Ari and Dante are Mexican-Americans and struggle with the Mexican aspect of their identity. This is definitely a story that you won’t want to miss out on. It’s an emotional journey, and there’s no guarantee that you’ll escape it without a few tears, but it’s certainly a rewarding reading experience. Official Synopsis: “Jude and her twin brother, Noah, are incredibly close. At thirteen, isolated Noah draws constantly and is falling in love with the charismatic boy next door, while daredevil Jude cliff-dives and wears red-red lipstick and does the talking for both of them. But three years later, Jude and Noah are barely speaking. Something has happened to wreck the twins in different and dramatic ways . . . until Jude meets a cocky, broken, beautiful boy, as well as someone else—an even more unpredictable new force in her life. Ultimately, this novel is a family story. More specifically, it’s centered around the familial relationship between twins Jude and Noah, and how time and circumstances changed their connection with one another. However, one of the biggest highlights of I’ll Give You the Sun is the relationship Noah forms with neighbor-boy Brian; through their characters, Nelson presents a realistic illustration of a gay teenage couple, from their tentative start, to their deep connection with one another, all the while attempting to overcome personal obstacles that threaten their relationship. 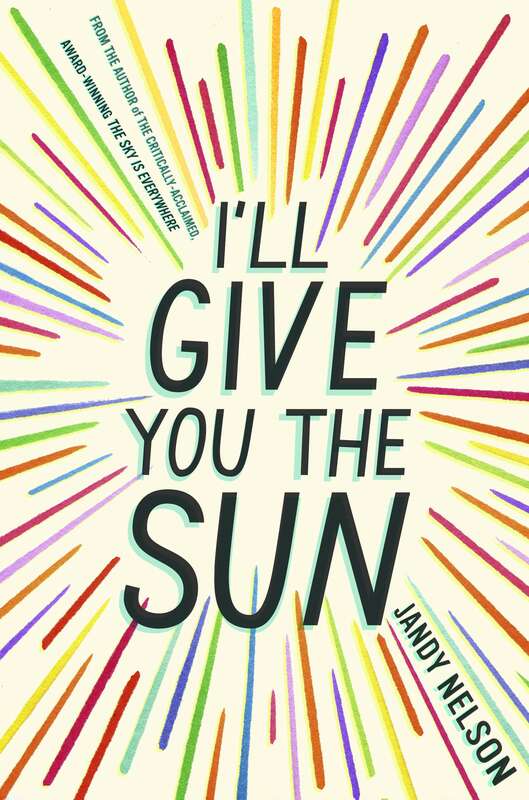 A riveting drama, narrated in beautiful prose and a mastered grasp of blending emotion into the written word, exploring both romantic and fraternal relationships, I’ll Give You the Sun is an excellent read and is highly recommended. Official Synopsis: “The line between best friend and something more is a line always crossed in the dark. An engaging read, A Line in the Dark combines an LGBTQ+ plotline with an engrossing mystery/thriller. Primarily, the novel follows Jess’ narrative, and we follow along as she copes with an unrequited crush on her best friend, Angie. Jess’ innermost thoughts shine a sympathetic light on her as a character, particularly when it comes to her unrequited feelings toward Angie, as well as having to watch from the sidelines as Angie is flirtatiously courted by another girl. When the novel descends into its dark overarching plot, however, the lives of these three girls — Jess, Angie, and Margot — become more intertwined with one another then they would have initially realized. Bringing together three LGBTQ+ characters, an ambiguous mystery storyline, and a peek into the internal turmoil of a protagonist whose thoughts and emotions run away from her at times, A Line in the Dark definitely makes our recommendation list. Official Synopsis: When it comes to drumming, Leah Burke is usually on beat—but real life isn’t always so rhythmic. In a Pride list that includes Simon, it would be almost criminal to leave out its sequel, Leah on the Offbeat. The second in her Creekwood series, Arbertalli is back with another story in the Simon-verse; however, this time we take a peek into the life of Leah Burke, Simon’s best friend, and what she goes through as she keeps her bisexuality under wraps from her closest friends. This novel takes place after the events of Simon, so rationally, Leah understands that it won’t be a huge deal when she eventually decides she’s ready to come out to her friends. Yet, Leah also illustrates the fears LGBTQ+ people go through when it comes to people judging them for who they love, as well as the right for them to figure themselves out, and own their person and identity without any obligations toward anyone else. If you adored Simon, you’ll be enamored with Leah! Official Synopsis: “After a shout-out from one of the Internet’s superstar vloggers, Natasha “Tash” Zelenka suddenly finds herself and her obscure, amateur web series, Unhappy Families, thrust in the limelight: She’s gone viral. This book brings forth an identity that we don’t see exclusively represented nearly enough in literature and media: an asexual main character. For those of you that don’t know, asexuality is the lack of sexual attraction toward any gender. This is the general gist, but there is certainly more information to this orientation that can be further discussed (click here for more info). In Tash’s case, she is asexual, but still experiences romantic attraction. Asexuality, and the conflict one experiences when identifying as such, is something that you don’t read about in young adult literature. Tash Hearts Tolstoy highlights the importance of shining light on this identity in superb fashion. Tash’s story is exceedingly well-rounded in that while it’s rare to find a YA novel with asexual representation, that’s not all the novel is focused on. We get to see who Tash is as an overall person — from her asexual identity, to her close friendship with Jacklyn, to her enthusiasm and love for her web-series, to her turmoil and struggling in figuring things out for herself. Refreshing and well-written, Tash Hearts Tolstoy is a definite must-read! That does it for our Pride Picks for this month! This is not a complete list, by any means; there are so many more wonderful novels out there, and we acknowledge that we didn’t hit on all of them. Do you have any young adult LGBTQ+ books you enjoy reading? Please feel free to add on to our list! Happy Pride Month, and happy reading!